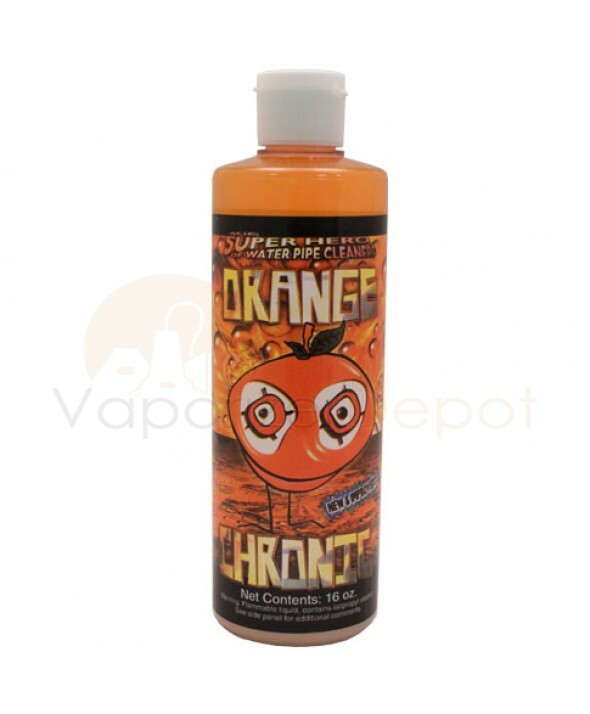 Clean your vaporizers and vape accessories with the industry standard, Orange Chronic Cleaner. This is a sixteen-ounce bottle of Orange Chronic is the most efficient cleaning solution for glass, metals or plastic implements. 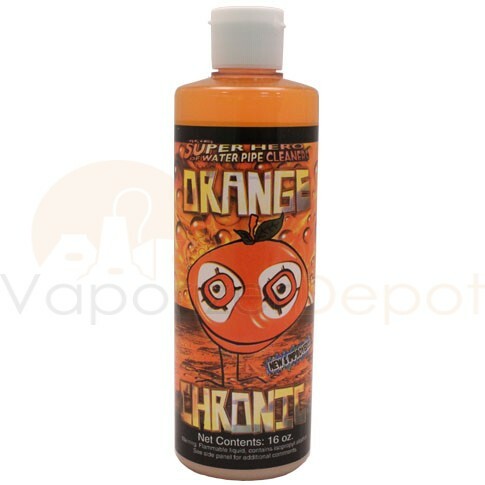 The Chronic is made from all natural ingredients and renewable resources including real oranges. This solution provides a refreshing aroma and alleviates the need for arduous scrubbing. Simply pour it in and swirl it around to remove unwanted stains and residue from your glassware with no lingering aftertaste. Orange Chronic is environmentally safe and biodegradable.